We set up clinic beside a school, where Lynn taught her class. 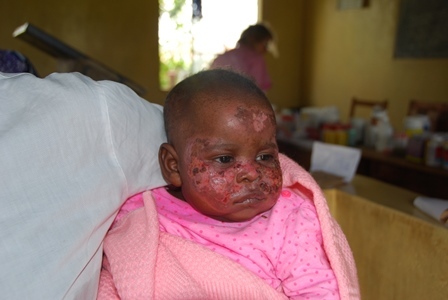 Jerry and Nina also went through the school, class by class, and treated ringworm. I understand that they treated A LOT! The government has a deworming program in place now, but ringworm is, at this stage, not a part of that program. As for the rest of us, clinic was so busy that we had to pause it twice in order to let the various team areas catch up. Altogether we had 531 patients; this doesn’t count those who came through only for glasses, which of course, we didn’t have enough of again! We had 4 patients go to the hospital, including a little boy with a fractured wrist. One exciting note! 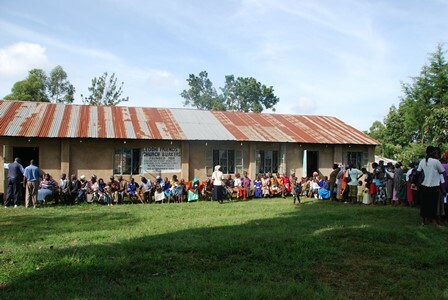 in 2014, CNFA partnered with TEMPO Kenya in providing a well for the Kedoli school that is available for the entire community to use. If possible, I will upload a video of Gail demonstrating its use, but at the very least, you can see pictures. Clean water is a HUGE issue here. It is not readily available, and is collected from rusty roof runoffs, and rivers, which are FILTHY. CNFA has provided repair to a few of the wells in the various communities, but one of their goals is to install many more QUALITY and LONG FUNCTIONING wells in these communities. PLEASE, PLEASE consider donating to this program. 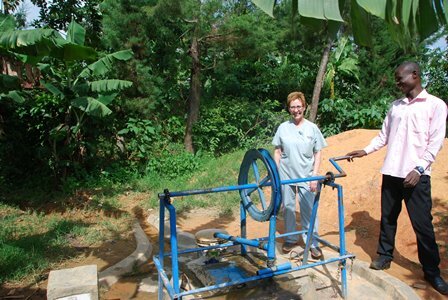 $1200 is the approximate cost for a well. We also had the privilege of touring the Kakamega hospital this afternoon. They do very well with the little resources that they have. Of course, it is nothing like a Canadian hospital. I will not be complaining about our health care system or our facilities any more! Two more days of clinics! Looking good Gail. So very happy that the well is working. I am starting to collect eye glasses.